KwaZulu-Natal: At 07H30 Monday morning Netcare 911 responded to reports of a collision on the M1 Richmond road next to the N3. 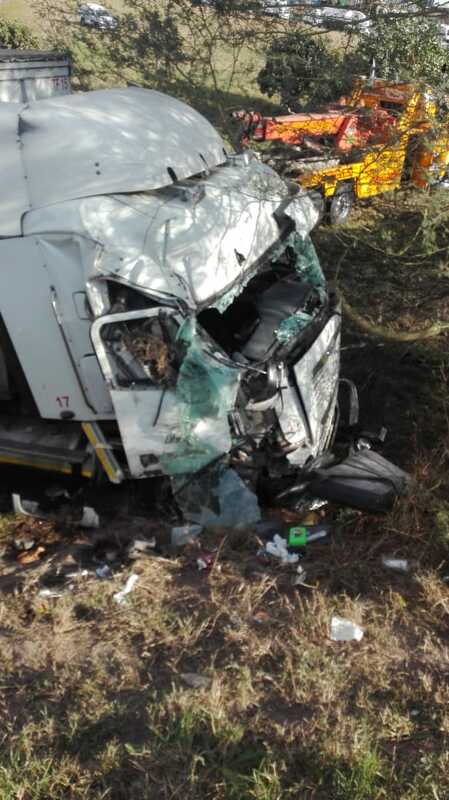 Reports from the scene indicate that the driver of a truck lost control clipping another heavy motor vehicle as the truck rolled down an embankment. The driver of the truck was mechanically entrapped and the “Jaws of Life” had to be used to free the patient from the wreck. The patient was treated on scene and transported by another ambulance service to hospital for further treatment.